The Düsseldorf International Boat Show, more commonly known as boot Düsseldorf or just boot, is one of the world's premier boat shows. Hudson Yacht Group will present the full line of yachts, including the Hudson Powercat, HH Catamarans, and the new HH Ocean Series. Scale models will be onsite, and company president Chris Doscher will be available to discuss details with interested parties. Contact sales@hudsonyachtgroup.com to learn more. 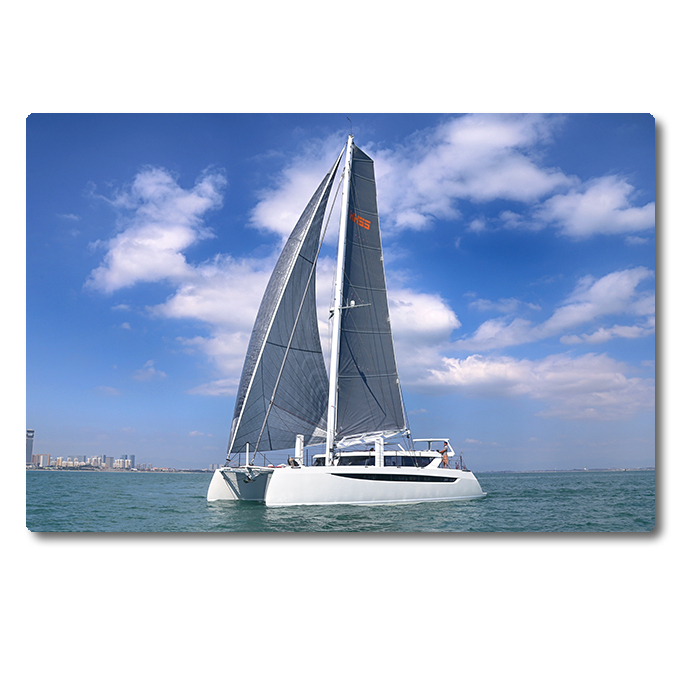 HH Catamarans will be attending this year's show and will have the all new HH50 model on display. We will be hosting a press conference on the morning of the 25th, announcing the all new HH Catamarans Oceans series as well as our 2018 price list for all HH models. This year we will be located on Pier D/E2. This year HH66-01 R-SIX will all be competing. It's the sailing event of the season! The fun begins February 15th and will not end until the final bell sounds, February 19th. This five-day spectacular sailing event features the best of the best that the sailing industry has to offer. HH Catamarans will be there with HH55-02 'Hai Feng' for her american debut. Contact us at sales@hhcatamarans.com to schedule your time onboard! HH55-02 launches to begin sea trials. HH55-02 launches into the test pool. Each October, sailors from around the globe gather on miles of docks in beautiful downtown historic Annapolis for the United States Sailboat Show. This is an internationally acclaimed sailboat show, recognized as the largest, most prestigious, and oldest in-water sailboat show in the world. We will be exhibiting the HH55 and HH66 in Annapolis in October. Contact us today to schedule exclusive time onboard. We will be attending this year's Newport International Boat Show. Contact us to schedule time aboard. 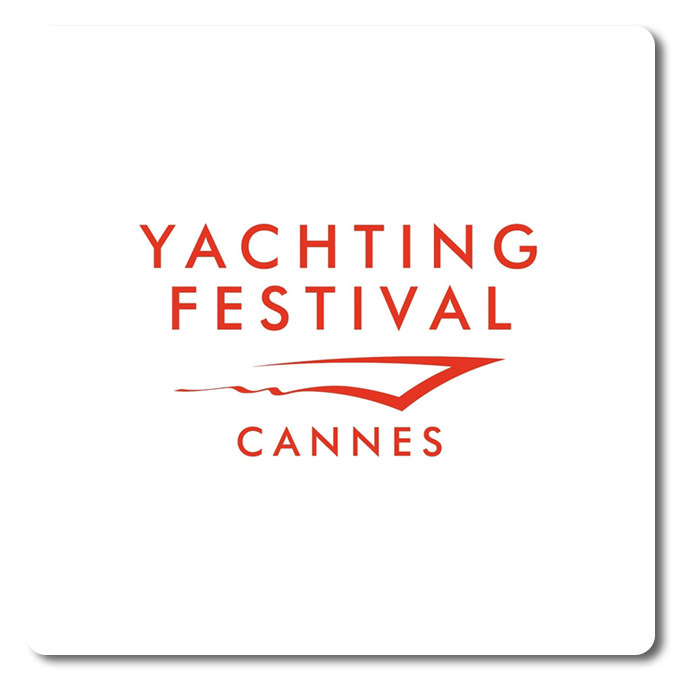 This year celebrates the 40th anniversary of the Cannes Yachting Festival. Contact us to schedule your time aboard. HH66-01 will be competing in this year's Rolex Fastnet race. Said to be "one of the biggest and most challenging races in the sailing history!" The Rolex Fastnet Race is the highlight of the Royal Ocean Racing Club's (RORC) calendar. Taking place every other year, it has earned the reputation as one of the most demanding offshore races and is widely regarded as a must-do race for most sailors. The 608 mile Rolex Fastnet Race is a real test for skipper and crews with its tricky tidal currents and changeable weather conditions. The race attracts entrants from all around the globe with a diverse entry ranging from the fastest grand prix race yachts to small cruiser racer family boats. The 50th Anniversary Show promises to be bigger and more exciting than ever: Incorporating the Australia International Dive Expo, a return fully to Darling Harbour, operate from the newly completed ICC-Sydney facility, occupation of the entire 32,600 m2 of exhibition space, use of an elevated 5,000 m2 open air event deck, expansion of the marina displays at Cockle Bay. We will have an HH48 model on display. Contact us today to schedule some dedicated time with company president Paul Hakes. Best of luck to HH66-03 'Nala' as she takes on a tough fleet of competitors at this year's New York Yacht Club Multihull Regatta in Newport. The four day event begins 12th July and will culminate on the evening of the 15th with the awards ceremony at NYYC's Harbor Court. Big thanks to the NYYC and the Offshore Multihull Association for organizing what's sure to be a great event! HH66-05 launches to begin sea trials. HH66-05 hit the test pool today under a gorgeous blue sky. 'Flash' will now begin final systems checks and fitouts before she is prepped for sea trials. Mast and rigging will go up later this month. 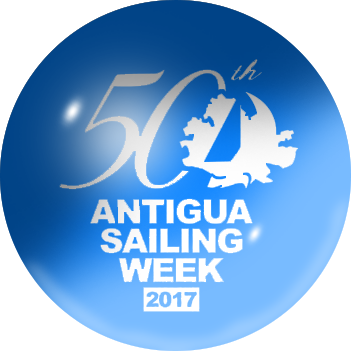 Antigua Sailing Week is one of Antigua's most notable events. Founded in 1967, it is cited as one of the top regattas in the world and attracts an average 150-200 yachts, 1500 participants and 5000 spectators on average annually! HH66-01 R-Six will be compeating in this year's Les Voiles de St. Barth. Les Voiles de St. Barth celebrates its 8th edition, April 10-152017. Created in 2010 by two old friends, François Tolède, organizing director, and Luc Poupon, race director, the first year of the regatta comprised 27 boats and had an exceptional ambassador, the legendary photographer Patrick Demarchelier. Close to 1,200 sailors of over 20 different nationalities gather each year for the four days of intense competition, in a festive, friendly ambiance… All set against the magnificent backdrop of the island of Saint Barthélemy. March 27- April 2, 2017 It’s going to be a great event! The BVI Spring Regatta is the one Caribbean Regatta that has something for everyone who attends. Whether you race, cruise, practice or just come to party, we have it all! Race & Cruise your way through the BVI. The weeklong BVI Spring Regatta & Sailing Festival takes you throughout the beautiful British Virgin Islands. Starting at Nanny Cay, the Sailing Festival is two days of warm up racing. Then the BVI Spring Regatta kicks off three days of some of the best racing in the Caribbean. Only the best survive to take home the Gold and the Glory, along with great stories and experiences that keep sailors coming back year after year. You can participate in all five races of the BVI Spring Regatta & Sailing Festival, be it part or all of the Festival, or the three-day Regatta. With a huge choice of shore side accommodations and activities there’s no need to leave your loved ones at home. 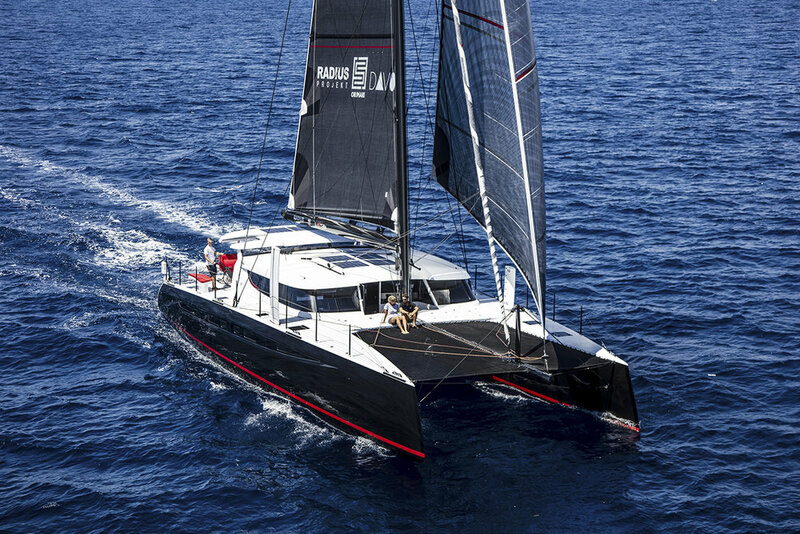 HH66-03 will compete in the St. Thomas International Regatta Offshore Catamarans race. This is the 3rd annual St. Thomas International Regatta and it offer sailors from around the world three days of unparalleled competition and shore side excitement. HH66-03 'Nala' will begin her Caribbean regatta campaign with the 'Round the Rocks race on March 23rd 2017. The course will be around the island of St. John in either a clockwise direction or a counter clockwise direction to be determined and announced before the start. The circumnavigation of St. John is a great warm-up for both boat and crew ahead of the St. Thomas International Regatta the following weekend. Competing boats will include Gunboat 60's 'Arethusa', 'Fault Tolerant' and 'Flow' as well as Bieker 53 'Fujin'. HH66-01 'R-Six' will be compeating is the 37th St Maarten Heineken Regatta. This Regatta is the largest warm water Regatta in the world and offers a great combination of challenging races and fantastic parties, keeping with the event’s motto “Serious Fun”! HH66-01 R-Six will be competing in the 2017 RORC Caribbean 600. It is looking to be the largest ever offshore fleet assembled in the Caribbean. Close to 900 sailors from 30 different nations will compete in the 9th edition of the Royal Ocean Racing Club's classic offshore race. A 600 mile race course around 11 Caribbean islands, starting and finishing in Antigua. It's the sailing event of the season! The fun begins Thursday February 16th and will not end until the final bell sounds Monday, February 20th. This five-day spectacular sailing event features the best of the best that the sailing industry has to offer. HH Catamarans will be there with HH66-03 'Nala' for our american debut. HH55-01 launches to begin sea trials. HH55-01 launches in the test pool. Time for final systems checks and fitouts before she is prepped for sea trials. Mast and rigging will go up next month. Fort Lauderdale, Florida, the "Yachting Capital of the World" will host the 57th Fort Lauderdale International Boat Show. The event starts on November 3rd and ends on the 7th. Show exhibits range from yacht builders and designers to exotic cars and brokerage yachts. 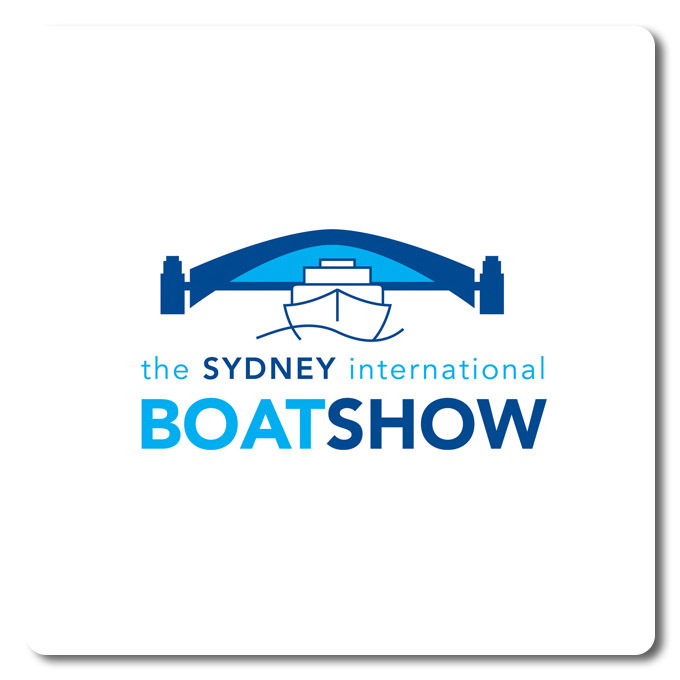 HH Catamarans will be attending the show with models of the HH55, HH66 and HH88 on display. If you are attending and would like to talk with Paul Hakes and the HH sales seam be sure to contact us at sales@hhcatamarans.com and schedule a meeting.